Kaabil Box Office Collection Kabil 25th Day / 4th Saturday Report: Hrithik Roshan Kabil collections would be remembered in the History for releasing the film with fewer hopes of getting a box office hit. The film gained a substantial following because of the national holiday. The release day went well for the Roshan family as Kaabil collection touched the figure of 10.43 crores. The hike on the second day was the main game as film gained substantially on the boxoffice with 80% hike in the overall fill out rate. Kaabil collections gained significant support because of the extended weekend holiday in India. 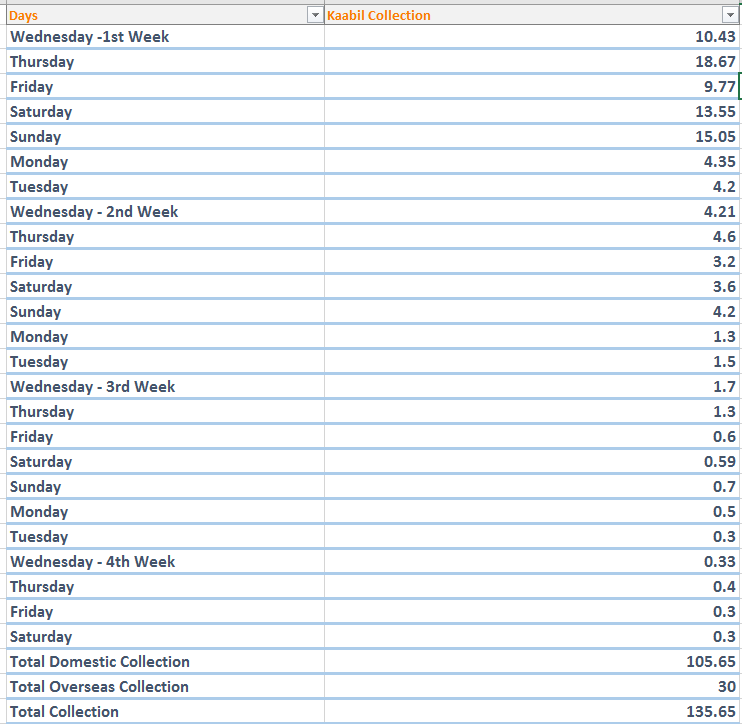 The film got a weekend of 5 days which was great to reach the real figures. The Republic day proved to be the highest earning day, minting over 18 crores for the film. A major downfall was seen on Friday as the result of a weekday. 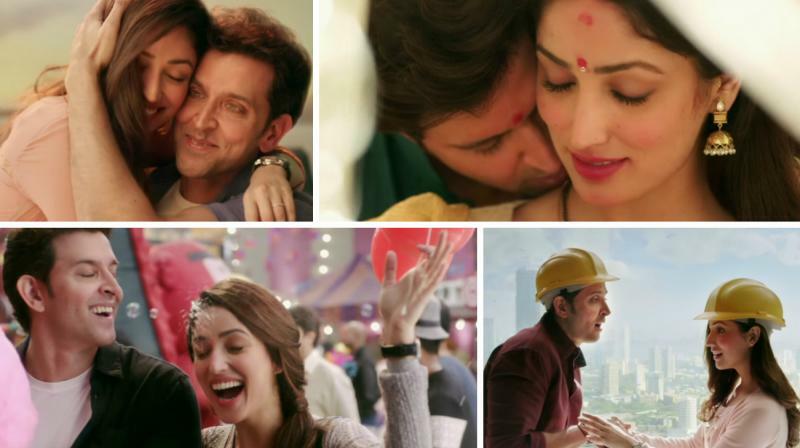 On Saturday and Sunday, Kaabil collection touched some really impressive figures of 13 and 15 crore rupees respectively which was utmost essential for the initial boost. 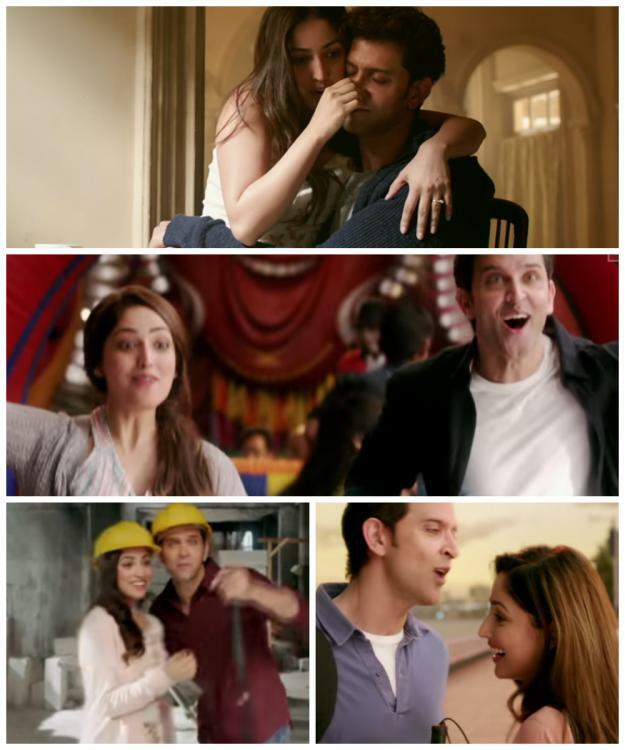 Produced with a budget of mere 35 crore rupees with primary shooting in India, Kaabil box office collections minted out the major part of earnings in the first weekend itself. First 5 days earnings of Kaabil film were 67.47 crore Indian rupees. The business was great in India, but a pure backlash observed from the overseas market as the movie was not able to cross the mark of 20 crores from International boxoffice. Dubai and GCC BO proved a disaster for Kaabil box office collection. Kaabil Tuesday Collection wasn’t positive in any sense. Film faced a backlash from domestic as well as overseas market. The only good part of Kaabil collection stays the figure as the movie is all about to touch the mark of 100 crore lifetime earnings which is a good signal. 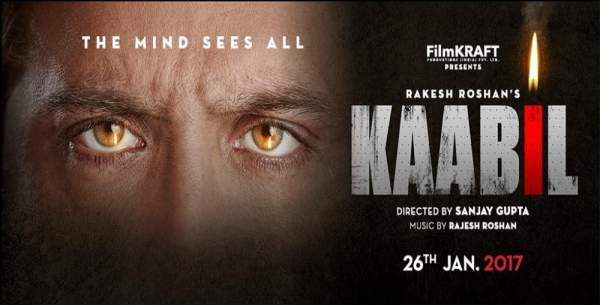 Kabil performed much better than other films of Hrithik Roshan in Bollywood which struggled to reach the figure of hundred crores in two weeks. The film earned 4.2 crores on the seventh day. Being popular among the masses because of his blockbuster during the early years in the industry had always resulted in a positive response for the actor. On the 12th Day, occupancy remains quite higher than of weekdays. Growth in fill out rate was observed for more than 30% across India. Sustaining on the box office even on the odd timings could be the best thing happened with Kaabil 12th Day Collection. The film earned a figure of 4.5 crores on Saturday and 5.2 crores on Sunday. The 2nd-weekend Earnings of Kaabil totaled at 9.7 crore rupees in India. The other weekdays of the 3rd week and a 4th week didn’t go up very well for Kaabil collection, while Raees started backpacking from the BO post release of Akshay Kumar’s Jolly LLB 2, many unexpected changes observed in the box office. Kabil earnings went down to the lowest level, and it could not survive in the Indian market after this weekend. Kabil overseas earnings were not up to the mark. The film initially gained good support from the US, but many other important markets didn’t observe big growth. The movie collected 30 crores from overseas territories after spending a substantial amount on advertising and public promotion. So far Kaabil collection from overseas arrived at a figure of 30 crore rupees (According to the trade estimates). Previous articleHunter X Hunter Chapter 361 Release Date, Spoilers & News: Manga Launch This Month As Togashi Gets A Deadline? Next articleHoax Death News Warning: Farida Jalal Is Alive or Not ? Kaabil is a Superhit film, super acting, super direction, stunning performance by everyone….